Our thick and creamy non-fat vanilla yogurt makes the ideal breakfast or snack! This non-fat yogurt is made in the Icelandic tradition, whereby whey is strained away after skim milk has been fermented with live active cultures. 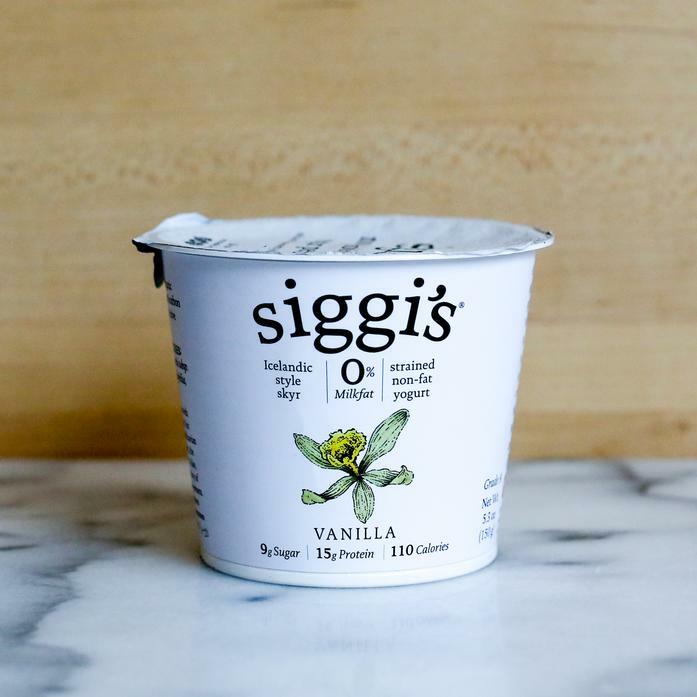 It takes four times the milk to make one cup of Siggi's compared a regular yogurt, resulting in a much thicker, creamier and concentrated yogurt.